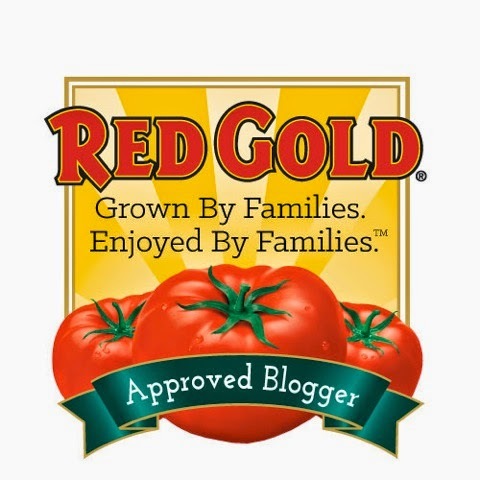 This will be a fairly short post. Why? Because Sweet Potato Sticky Buns don't really need a lot of conversation. Maybe I'm not the first to think of them, but dang these are good. There's even a hint of orange in there. I like these. Bunches. A good finale to my 2012 sweet potato series, no? In a small saucepan, combine the milk, butter, sugar, and grated orange peel. Heat until the temperature is just 110-115 degrees F. (bathwater warm). If the temperature is too warm, let it cool for a few minutes. Put the warm milk mixture in a large mixing bowl. Add the yeast and stir. Let it rest for about five minutes or until it becomes foamy. 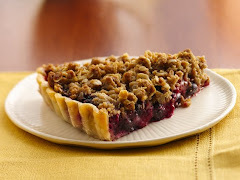 Add two cups of the flour, the eggs, sweet potato, sweet dough flavoring or vanilla, and salt. Fit a stand mixer with the paddle attachment and beat for about 4 minutes. Use a wooden spoon to add enough of the remaining flour to make a soft dough. Turn the dough on to a lightly floured surface and knead in enough of the remaining flour to make a stiff dough (alternately, use the dough hook on the mixer and knead for 5 minutes). Continue to knead for about 6 to 8 minutes until the dough is smooth and elastic. Form into a ball and place into a buttered bowl, turning once to grease the dough's surface. Cover and let rise in a warm, draft-free place for about an hour or until doubled in size. When the dough has doubled in size, gently deflate and let it rest for 10 minutes. In the meantime, prepare the filling by mixing the brown sugar and the cinnamon in a small bowl. Keep the melted butter in a separate bowl. 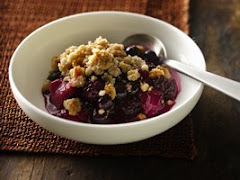 In a medium saucepan, combine the all of the topping ingredients except the pecans. Heat over medium heat until just melted. Spread into a 9X13 baking pan and top with the pecans. Set aside. Roll out the dough into a 9X12 inch rectangle. Brush with the melted butter and sprinkle the brown sugar/cinnamon mixture evenly over the top. Starting from the long end, roll up the dough like a jelly roll, pinching the seams to seal. Using a very sharp knife, cut the dough into 12 rolls. Place the rolls over the topping mixture in the pan, cover loosely, and let rise for 20-25 minutes (if desired, refrigerate the dough overnight after placing the rolls in the pan). Preheat oven to 375 degrees F.; bake for 30 to 35 minutes or until golden. A few minutes before taking the rolls out of the oven, line a sheet pan with non-stick foil. Remove the rolls from the oven and immediately, but carefully, invert them over the prepared sheet pan. Serve warm. Can you blame me for having this for dinner? In my continuing sweet potato journey, I present to you my Orange and Yogurt Glazed Sweet Potato Rolls. These were interesting, as I truly invented these as I went along. Oh, I've made sweet potato dough before, and I based the rolls on the Orange Glazed Sweet Potato Breakfast Braid that I made for the Midwest Living Magazine's Best of the Midwest contest. 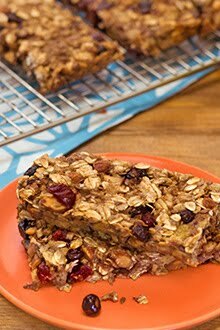 But, I wanted these to be a little different, something easy to put together for a brunch or, in my case, a treat for my co-workers. 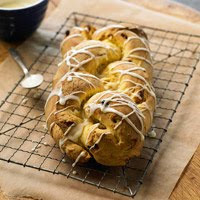 What's great about adding sweet potatoes to a yeast dough, is that it not only adds flavor, but it adds some moisture, and it surely adds a beautiful color. Of course I wanted to add a little spice to the mix, so there's cardamom and ginger, but the flavor that I think goes best with sweet potatoes is orange---so I started by putting some grated orange peel into the dough, and I finished it with a glaze made up of the rest of the orange. Not being one to leave well enough alone, I threw some vanilla yogurt into the glaze, as well, and I'm so glad I did....yum! How easy is this? Just divvy up the dough into 24 balls and put them into buttered cupcake pans. I let mine sit in the fridge overnight--then I just baked them in the morning for fresh, warm rolls. I wouldn't tell anyone if you spread some of that leftover orange yogurt on the top, but at least use a little butter. 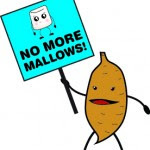 I think this will make a good entry into the North Carolina SweetPotato Commission's "No More Mallows!" 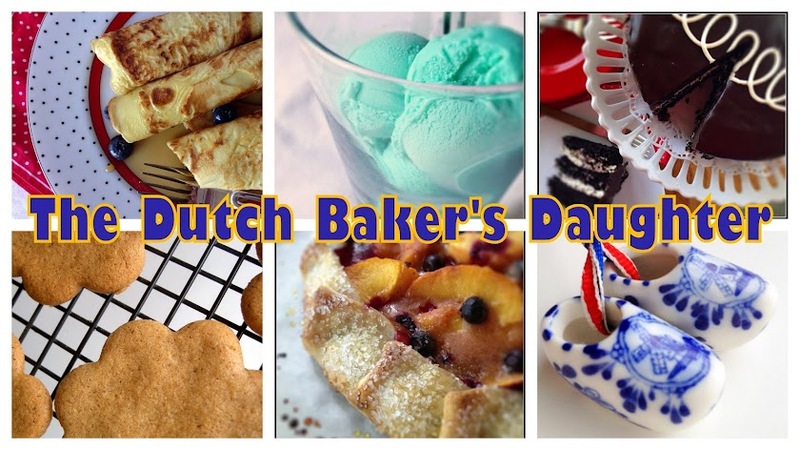 recipe contest, don't you? Can you spot the cookies? One hundred years ago, on March 12, 1912, Juliette Gorden Low brought 18 girls together in Savannah Georgia and formed the Girl Scouts. 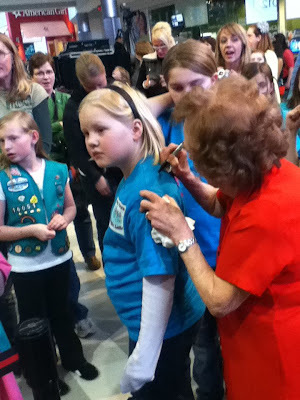 Today, the Girl Scouts USA has 3.2 million current members and is even more relevant in its mission to "build girls of courage, confidence and character, who make the world a better place." To celebrate this momentous anniversary, the Girl Scouts of Minnesota and Wisconsin River Valleys, hosted the Great Girl Gathering at the Mall of America ...and what a gathering it was! Over 140 thousand girls eventually descended on the mall, and judging from the bodies spilling out of the doors, I think most of them were there on the day I was there. 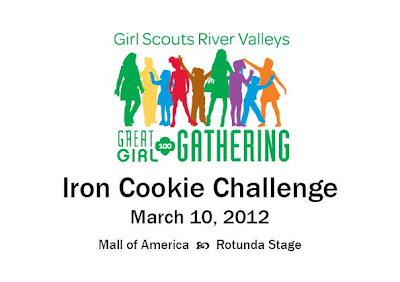 The Great Girl Gathering was a weekend filled with activities and events for all of the visiting girls. 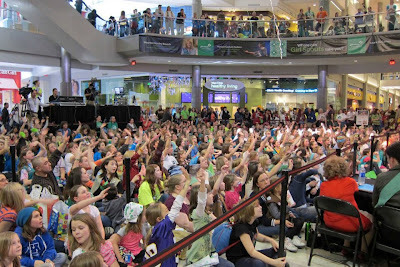 It was a girl extravaganza, if you will. And what did all of this have to do with me? Well, I had the honor of being one of three "chefs" to compete in the Iron Cookie competition---I had to create an appetizer and an entree using Girl Scout cookies! ....but once we got started, it was just a lot of fun! Me, N.M. Kelby, Marjorie Johnson, and Betsy Chan. My worthy opponents in this competition were N.M. Kelby, author of the current best-selling novel White Truffles in Winter, and Anne Barlow, owner and chief bottle washer at Luna's Liquid Lava Lounge. 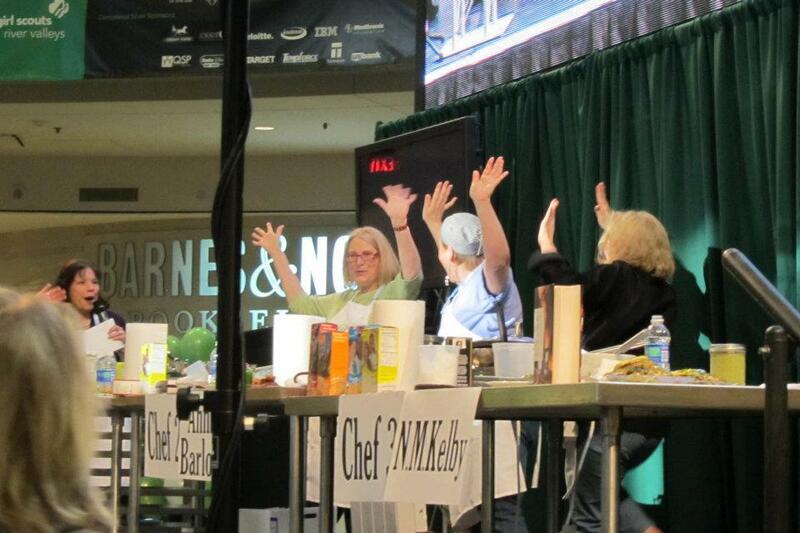 The judges were Chef Marcy Alfonsi, culinary instructor at St. Paul College, Kyla, a Girl Scout who sold over 3,000 (!) 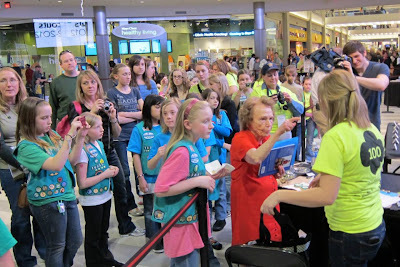 boxes of Girl Scout Cookies last year, and Marjorie Johnson, Minnesota's own Blue Ribbon Celebrity. 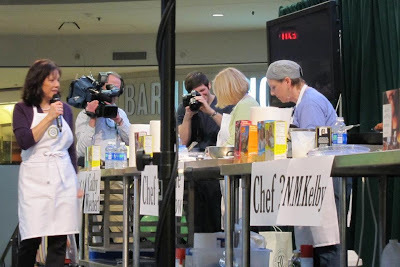 Betsy Chan, my good friend and fellow Pillsbury BakeOff alum, was the brains behind the whole project, spending weeks and weeks finalizing all of the details. 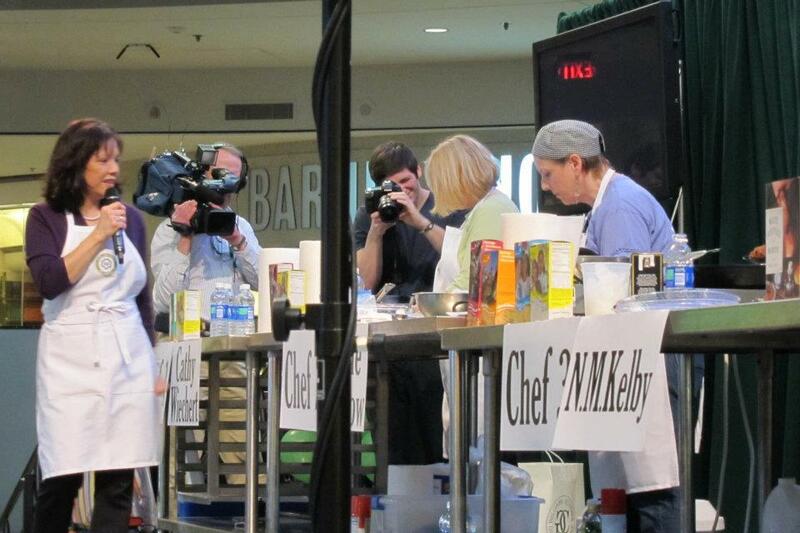 In the end, N.M. Kelby came out the champ with her Savannah Chicken and Do Si Do Pasta. 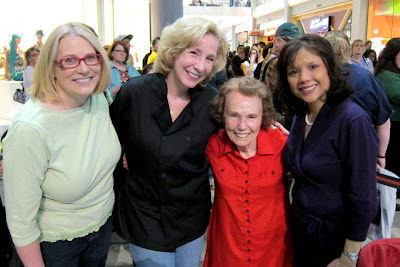 Her $500 prize went to the Girl Scout Troop of her choice...you can see her recipes on her blog, At Escoffier's Table. Anne Barlow and I won $150 each, Anne's in cookies to the Troops overseas, and mine to a Girl Scout troop in Crystal, MN....each of us came out winners! In a medium saucepan over medium-high heat, bring the quinoa and the vegetable stock to a boil. Reduce heat, cover pan, and simmer for about 15 minutes, or until quinoa is tender and the stock is absorbed. Remove from heat and set aside. If making the quinoa ahead of time, refrigerate until ready to use. Heat 1 tablespoon of olive oil in a large skillet over medium-high heat. Add the onions and the carrots and saute for about 2 minutes. Add the peppers, corn and sugar snap peas, and continue to cook until the onions and carrots are softened and the rest of the vegetables are heated through, about 5 minutes, reducing heat if necessary to avoid scorching. While the vegetables are cooking, in a small bowl combine the remaining olive oil with the juice of one orange, the juice of 1/2 lemon, and the ground pepper. Whisk in the finely crushed cookies, stirring until smooth. Add a pinch of salt, if desired; set aside. Add the quinoa to the vegetables and cook until just heated through. Stir in the vinaigrette. 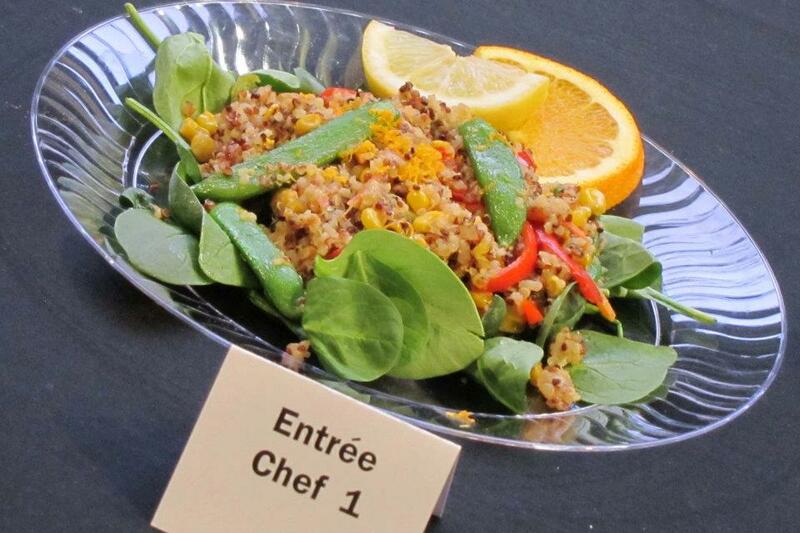 Arrange a handful of spinach leaves on a plate, top with a portion of the quinoa and garnish with orange and lemon slices. Serves 6. Oh, yes. I made an appetizer with Girl Scout Cookies, too. 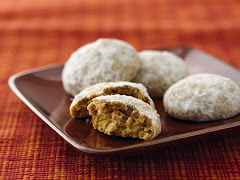 For this I used the Dulce de Leche cookies....and bacon! In a small saucepan, combine the vinegar, orange juice and honey. Bring to a boil and cook until the mixture is reduced to 3 tablespoons, about 5 minutes; set aside. In a small bowl, combine the goat cheese, cookie crumbles, bacon and cranberries. Carefully fill each of the endive leaves with the cheese mixture. 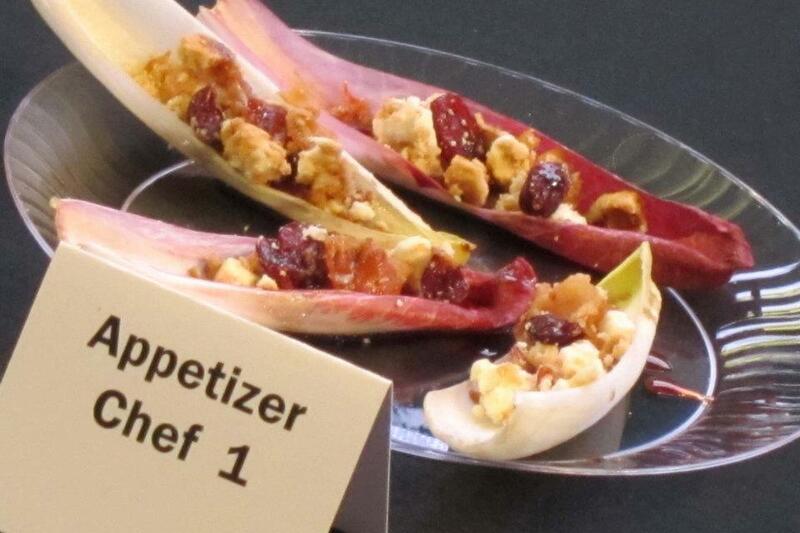 Drizzle the balsamic reduction evenly over the endive. Serve immediately. 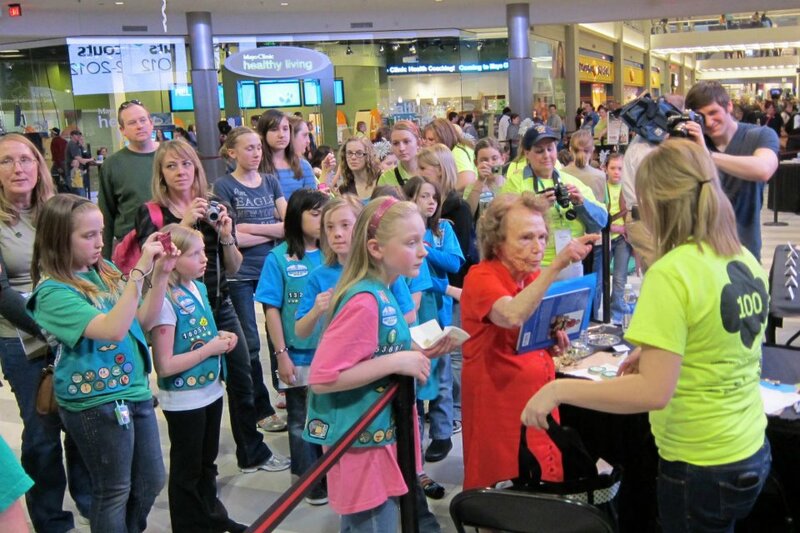 The girls line up for Marjorie's autograph. She is a rock star!! 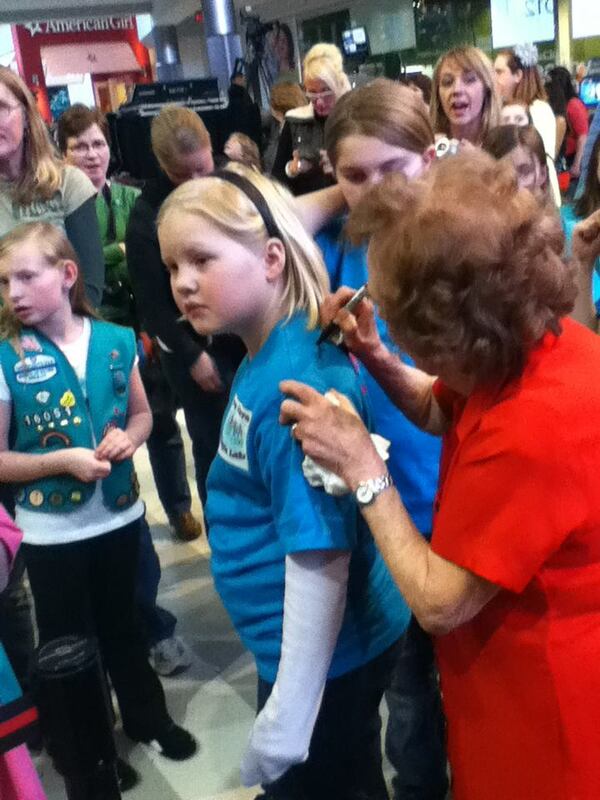 Happy 100th Anniversary Girl Scouts of America!! I just wrapped my sweet potato in foil and baked it for 45 minutes in a 350 degree oven. Freshly ground nutmeg is a new thing for me...I love it! In a medium bowl, beat the eggs until thick and golden, about 3 minutes. Add the sugar and the butter and continue to beat for another 2 minutes. Beat in the sweet potatoes, salt, nutmeg, orange zest and vanilla. Carefully fold in the flour/baking powder mixture, and stir until incorporated. Aren't they pretty? Seriously, they are good enough to eat as is...but I wouldn't want you to miss the Chocolate-Orange Ganache. Place the chocolate chips in a small bow. Heat the cream, butter, and orange zest in a small saucepan until almost boiling. Pour the hot cream over the chocolate chips. Stir until the chocolate is melted and smooth. I think Proust would approve, don't you? Fish Tacos...I've been making them for years. Way before they became popular. I suppose they've been popular in Southern California for some time, but it wasn't that long ago that I would get grimaces and yucks when I even mentioned them. I dunno...maybe they just sounded icky...but to me they were wonderful. 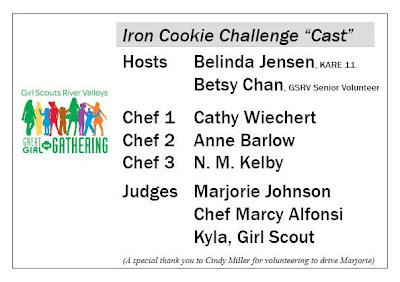 I even entered a version them in the Pillsbury Bake-Off about six years ago. They didn't get me anywhere...maybe because the fish was encrusted with pecans. A little much, no? 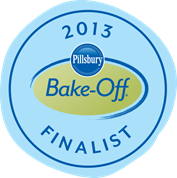 It made me happy that a Fish Taco was a category winner in the last Bake-Off. I've simplified my Fish Tacos over the years. Now, I sometimes just grill the fish. Or, sometimes I coat the fish in panko bread crumbs and fry them in olive oil. On occasion, I'll top the fish with tomatoes and cheese. I prefer to use flour tortillas, but I have been known to change it up a little and use corn tortillas. But, I always, always top my tacos with shredded cabbage (from a bag...easy) and my green chile sauce. So, the fish part is easy. I generally use Tilapia, which has gotten some bad press, lately, but any mild, firm fish will due. Cod would work. Whatever you choose, just dip it in seasoned flour, then egg, and then dredge it in panko crumbs. Fry it in olive oil, over medium heat, for 3 minutes per side, or until it's flaky. Cut it into chunks and put it in a warm tortilla. Now top it with your favorite things...I really like avocado...and then top it with "the sauce". Just mix it all together and chill until needed. Don't want tortillas? Just throw some chips on the plate with your fish, and call it a day. If you're really feeling rebellious, put it on a biscuit. What do you put on your Fish Tacos?